2017 marked the 70-year anniversary for the Queensland Symphony Orchestra (QSO). As part of the celebrations, QSO wanted to create an engaging online experience that took users through the key moments and people in their history. Thanks to State Library Queensland, there was an overwhelming quantity of well-preserved historical papers, photography and audio-visual content. The challenge was how to present this seven-decade story in a structured but beautiful and intuitive way. Proud of their history, QSO wanted to create an experience as rich and rewarding as their live performances, and to leave a legacy for a global audience. Our story, Your Story - A sensory rich, commemorative website that celebrates the 70th anniversary of the QSO. An audio-visual feast, the comprehensive site was an opportunity for visitors to immerse themselves in the carefully curated content. 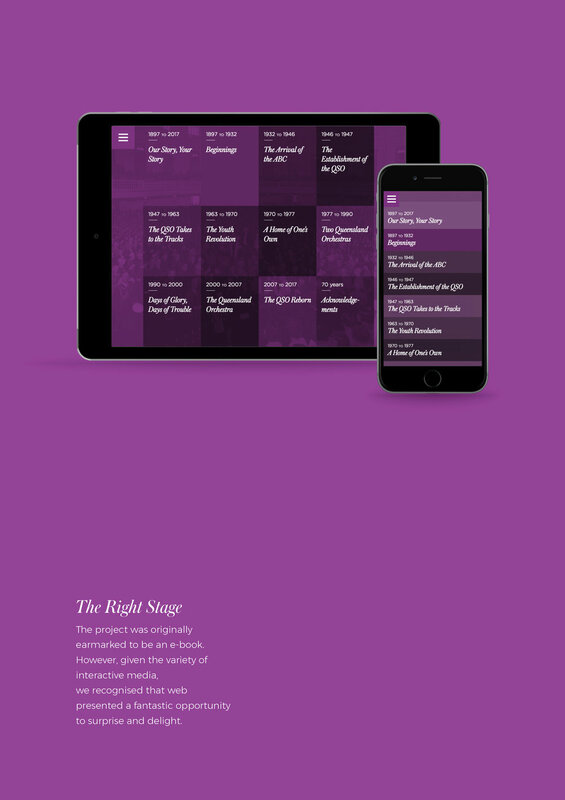 A timeline let users explore in a linear fashion, while a full screen takeover (activated by a more traditional burger menu) presented the full 12 chapter navigation items. 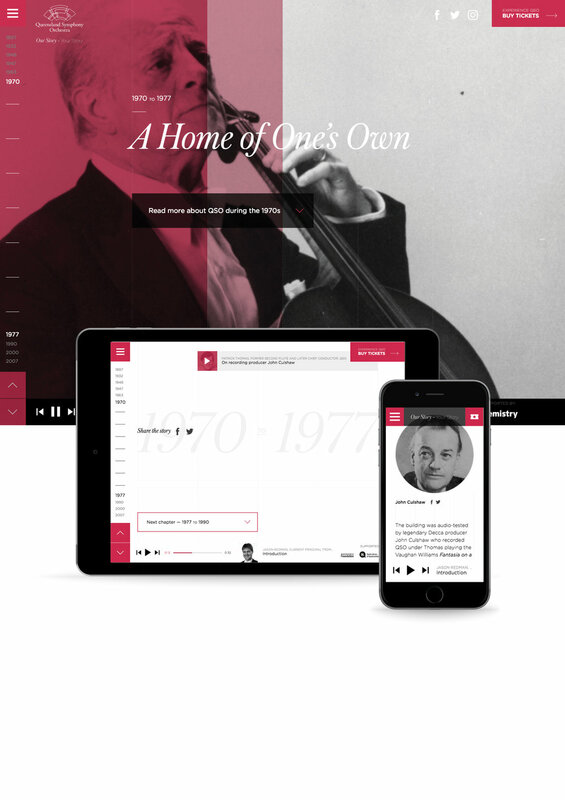 The site was responsive for mobile and featured inbuilt music playing capabilities, allowing visitors to listen to some of the finest classical recordings available online today, anywhere.